As we have seen, collaboration between consumer electronics manufacturers was a crucial part of the development of CD-i technology. In addition to the pivotal agreement between Philips and Sony on hardware standards, Philips had entered into a string of joint ventures in Europe, the United States and Japan in order to develop hardware and software tools and facilitate software production. The scale of these joint ventures illustrates the extent to which CD-i as a multimedia technology involves areas of technical expertise which even a major multinational electronics company does not possess in-house. In both Japan and the United States Philips teamed up with major print and electronic data publishers, Toppan and R.R. Donnelly respectively. 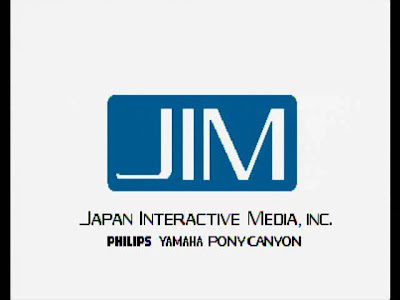 The development of the prototype professional player was carried out by the joint venture with Kyocera, and the participation of Yamaha and the major record company Pony-Canyon (which has since forged an alliance with Virgin) in Japan Interactive Media was intended to compensate for the relative weakness of PolyGram in Japan compared to its position in Europe and the US. Studer AG is a major supplier of professional studio equipment — including CD-Audio players for broadcasting companies — and the joint venture was formed to produce hardware for CD-i studios. Sun Microsystems were chosen as a partner for the development of multimedia workstations because of their technological strength in high-speed microprocessor applications. Philips-Dupont Optical took over from Philips the management of its CD pressing facilities in Europe and the US. Finally the joint venture with Control Data Corporation gave Philips access to expertise in systems software. The issue of inter-firm collaboration has become even more critical as delays occurred in the development timetable, and Philips needed to establish a credible programme for introducing the technology in the face of the competitive threat from DVI. After Intel acquired the rights to DVI from RCA’s parent company, General Electric, the prospect of collaboration between Intel, Microsoft and IBM became a major threat, especially after Intel announced its intention to enter the consumer market. It became important to extend the development coalition beyond the Philips/Sony axis, since the recruitment of additional Green Book licensees, whilst welcome, did not represent a major commitment of resources. In 1989 Matsushita announced its participation in with Philips in developing FMV for CD-i, and Motorola — the manufacturer of the 68000 microprocessor at the heart of the CD-i system — was chosen to make the VLSI chips for FMV. The addition of these major partners, especially Matsushita — the world’s largest consumer electronics manufacturer — was claimed by Philips as a major strategic advantage in its competition with rival technologies. Apart from NEC and Hitachi, all the other major Japanese consumer electronics companies were known to have developed CD-i players. At one time it seemed that the two outsiders to the CD-i ‘family’ would be persuaded to join the rival Intel-IBM-Microsoft grouping, but the latter never materialised, and Microsoft joined Tandy in developing VIS as a rival home interactive multimedia technology.